One of the greatest challenges facing flutists of all ages and ability levels is staying motivated from day to day. Life is full of challenges, be they finding time to practice the flute or studying for final exams while battling sleep deprivation, but the key to overcoming these challenges is to maintain a positive attitude. This philosophy is true for every area of life, in relationships with friends and family or in a job, and it is certainly true for musicians who are striving to have effective practice sessions. Practice is not meant to be torturous hours spent playing difficult passages repeatedly while thinking about other tasks that could be completed during that time; it should be moments in the day when musicians are allowed to experiment and create art free from the pressure of an audience or a teacher. This is admittedly easier said than done, but keeping an open mind and a positive attitude can keep flutists motivated even during the most trying times in life. The first step in maintaining the motivation to practice, whether you’re an overburdened student or a recent graduate free from the expectations that go along with weekly lessons, is to begin each practice session with an exercise that feeds your musical self. This may sound a bit silly at first, but think about the number of tasks we complete each day and think about how many of these tasks we do in for our own health and sanity. Self-care is an important part of maintaining good mental and physical health, so it makes sense to incorporate it into a practice session. Instead of launching into a volley of scales and arpeggios at fast tempi begin by doing some breathing exercises and connecting with your body. Don’t play long tones while thinking about your to-do list; instead, focus on your sound and technique. Perhaps, in addition to your normal etudes and solos that you need to practice each day, you can incorporate music that interests you outside of the normal lesson setting. We are more motivated to complete tasks when they contain some kind of reward for us, so treat yourself! The next step in staying motivated as a musician is to be gentle with yourself in the practice setting. On the surface this may sound like psychobabble, but imagine if each time you met with friends you made snide remarks the entire time. You would run out of friends quickly! The same is true with yourself–– if you think negative, unkind thoughts about your playing every time you practice you will not look forward to the next session. Instead of focusing on negative aspects of your playing, think constructively; instead of saying, “My double-tonguing in the Poulenc Sonata is terrible. I’m a terrible flutist and I’ll never play this well,” think, “I need to work on my double tonguing in a few measures of the Poulenc Sonata. I sound quite good on some parts, but I can make some improvements to this aspect of my performance.” Having a balanced view of your performance is a vitally important part of staying motivated and interested in practicing. A third step in staying motivated as a musician in a stressful world is to share your gifts with your community. Too often, we approach performances with a sense of dread; we don’t want to make any mistakes, and if we do make these inevitable mistakes then we are failures who don’t deserve to make music. Imagine if a professional athlete held themselves to this standard, framing themselves as failures whenever they made a mistake in a game. If they did, there would not be many sporting events! We should approach our performances in the same manner—mistakes happen, but what matters is sharing our talents with others. Performances should be events that are highlights of our schedules, chances to see the culmination of our hard work. Looking forward to recitals and ensemble performances as opportunities to engage with people and share a part of yourself can help to reframe the stress that often accompanies concerts. read about other musicians who have struggled in similar ways and to know that you are not alone in your struggles! There are numerous books written by athletes, scholars, psychologists, and musicians about the struggles that accompany practicing and performing at a high level. These books are not written by people who have never dealt with any problems and have lived trouble-free lives—quite the opposite! At the risk of sounding callous, it is important that musicians know that they are not unique in their struggles. This issue of staying motivated and satisfied as a performer has been written about in numerous articles and books, which should be encouraging to all musicians! Instead of living a life of isolation dealing with the loneliness of being the only person who has experienced the pressure and difficulties of facing day after day of practice and self-evaluation, we are surrounded by a supportive community of people who understand this lifestyle and have provided resources for coping with it. It is imperative that musicians take advantage of these resources to battle burnout and depression and live the most fulfilling lives that they can. Music is a demanding activity that requires its practitioners to be completely engaged physically, mentally, and emotionally in order to perform at the highest level. Because of the demands that are placed on musicians on a daily basis, maintaining the motivation to practice can be difficult. The most important thing that a musician can do to keep this motivation is to keep a positive attitude and to know that no matter what, you are not alone! An emerging artist and chamber musician, flutist Brittney Patterson made a name for herself both as a performer and teacher. 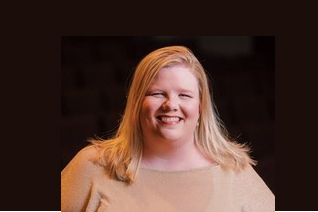 She has appeared with the Jackson Symphony Orchestra, the Memphis Symphony Orchestra, and the Alabama Symphony Orchestra, the Tuscaloosa Symphony Orchestra, and numerous other regional orchestras and chamber music ensembles. Brittney serves as principal flute and Vice President of the Memphis Repertory Orchestra and is co-founder and principal flutist of the Delta Blue Chamber Players with whom she performed William Alwyn’s Concerto for flute and eight wind instruments in the fall of 2014. Brittney recently completed her Doctor of Musical Arts at the University of Alabama where she studied with Diane Boyd Schultz.